Frame Size: 49.75" x 49.75"
Neil Nagy was born in 1941 in the East Los Angeles Latino community of El Sereno. Nagy is a figurative expressionist painter who draws upon the single, powerful human form as a way to explore the humanistic, personal and spiritual paths. Nagy’s inspirations have continually evolved. He came to appreciate the culture and art of Mexico as he traveled extensively to drink in the colorful life of the people and the country and to study ancient Mayan civilizations. Several residencies in the plains of the Bahio and the central western coast added to this impression on his life and especially his art. He is also influenced by the work of Rembrandt, Constable and Turner as well as Japanese art especially contemporary woodcuts. 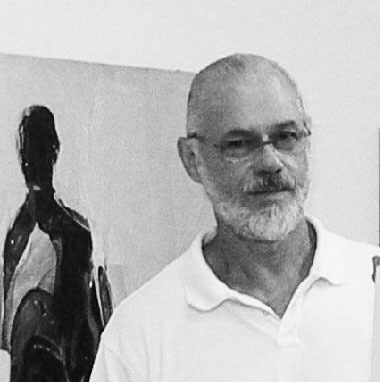 Nagy received his education at San Jose State College for Industrial Design and Art and later at the Instituto Allende in San Miguel Allende. In 2006 Nagy was selected for an important “Bay Area Figurative” Exhibition where he showed alongside Diebenkorn, Park, Oliveira and others. He has held exhibitions internationally and has been included in a number of corporate and private collections. 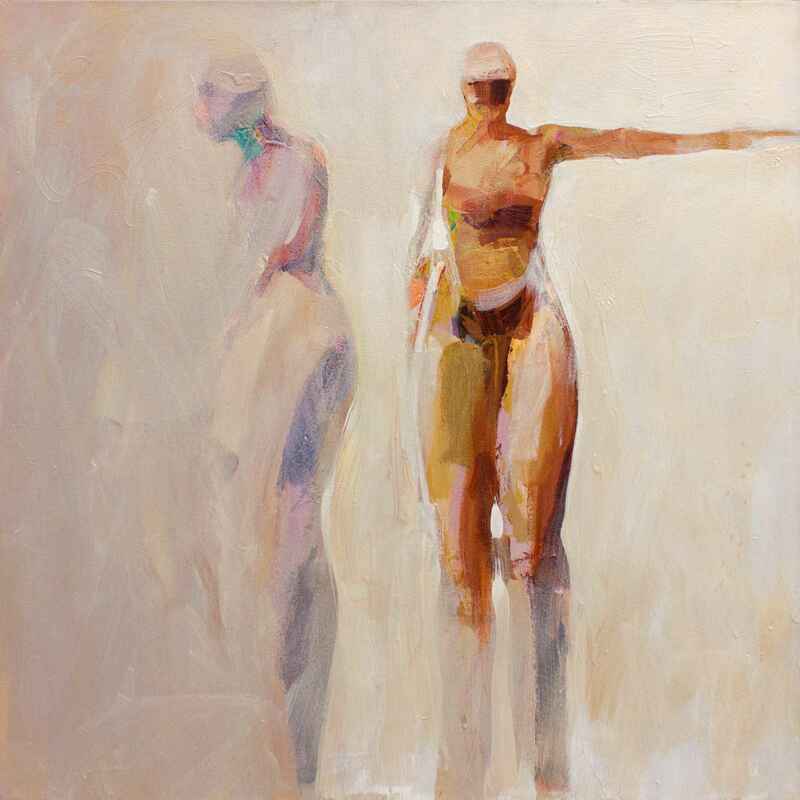 Nagy gained exposure to the art of the Bay Area Figurative painters Manual Neri and Nathan Oliveira near San Francisco in the early 1960s. The laid-back attitude of this period in California resulted in his lighter and more humanist interpretation of the severe existential Northern European style while being informed by the explosive Abstract Expressionist style. 48" x 48" Framed: 49.75" x 49.75"